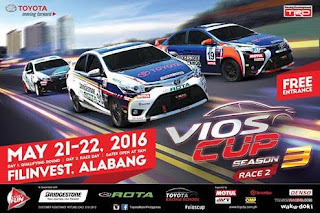 The number one automotive brand in the Philippines is gearing up for the 2016 Vios Cup second leg slated on May 21 – 22 (Saturday-Sunday) at Filinvest City, Alabang in Muntinlupa City. After taking the heat to various locations across the country, Toyota has set its eyes in bringing the waku-doki motorsports experience back to Manila! This year, a total of 52 racers composed of 44 individual teams and 8 celebrity racers will battle it out to see who can really put the pedal to the metal! Race grids will consist of 3 main categories: Super Sporting Class, Sporting Class and Promotional Class with each category crowning their respective champions. Motorsports fans and spectators can expect celebrity drivers such as incoming season racer Arci Muñoz, Jericho Rosales, Sam YG, Joyce Pring, Phoemela Baranda, Fabio Ide, and Jinno Rufino. 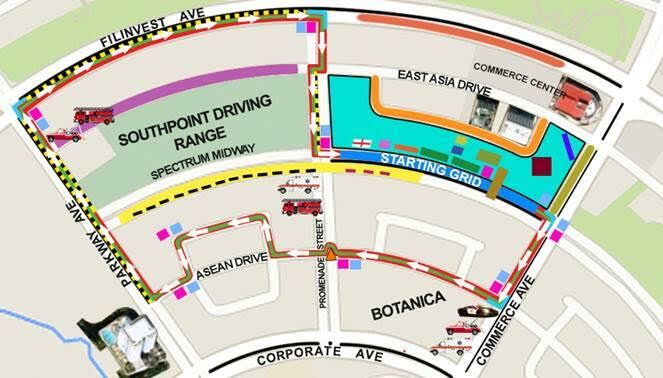 As Toyota brings the Vios Cup back to Manila, it promises nothing short of waku-doki all the way! There will also be Food trucks and kiddie activities catered to the whole family. Also, get to meet and greet one of the Fast and the Furious stars, the Drift King himself, Keiichi Tsuchiya as he comes back to Manila to perform a special and exclusive drifting exhibition for all of the spectators present! 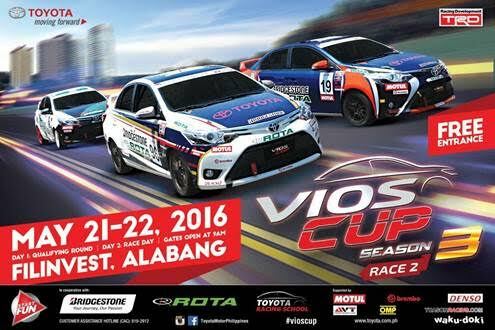 The 2016 Vios Cup Manila leg will definitely be one for the books and one that motorsports fans, gearheads, and car enthusiasts shouldn’t miss!